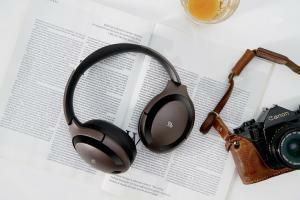 LOS ANGELES, CALIFORNIA, UNITED STATES, November 7, 2018 /EINPresswire.com/ — Today Senji launched Mu6, smart noise-canceling headphones with a variety of advanced features such as Hearing Optimization and a unique Magnetic Wireless Charging Stand. They are now available on Indiegogo for the early bird price starting at $129 USD. Further customizing the music experience with Mu6, listeners can use the app to select their desired EQ, such as pop, rock, jazz, hi-fi, or original equalization settings. They can also create their own custom EQ. Mu6 will be available November 7 starting from $129 USD. The estimated delivery date is March 2019. 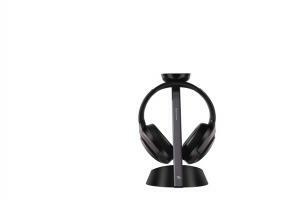 Senji is a personal audio electronics company with operations in Califorina, Texas, and Shenzhen, China. The core team has engineers and experts from acoustic, holographic audio and virtual reality area who own multiple PCT patents. Each member of the team has 10+ years experiences with both startups and large companies, such as Microsoft and Honeywell. The team has invested two years in developing Mu6. Media wishing to interview their personnel should contact PR agent, Jackson Wightman at +1 (514) 605-9255.